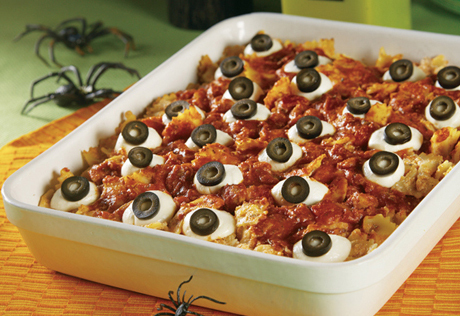 The "eyeballs" that top our spooky casserole are made from mozzarella cheese and sliced olives. But the cheesy, baked pasta that lies below is a real treat that everyone will enjoy. 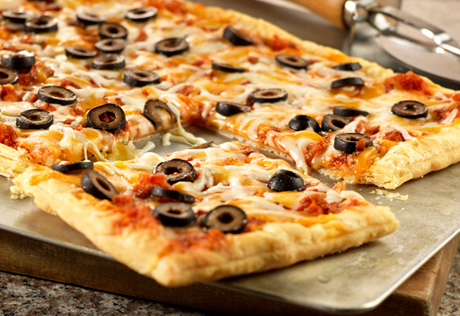 Spray a 13 x 9 x 2-inch shallow baking dish with vegetable cooking spray. 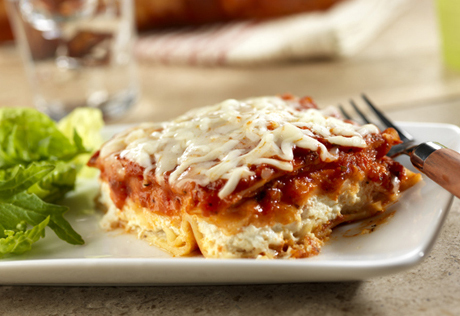 Mix 1 1/2 cups of the sauce, ricotta cheese, 1/2 cup Parmesan cheese and pasta in the prepared dish. Spread the remaining sauce over the pasta mixture. Sprinkle with the remaining Parmesan cheese and cover the dish with foil. Bake at 400°F. 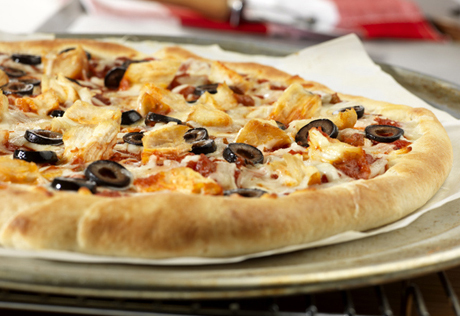 for 25 minutes or until hot and bubbling. Arrange the cheese balls randomly over the pasta mixture. Place a sliced olive on each cheese ball. Let stand for 10 minutes before serving.